Live above your expectations with this gorgeous Livingston Expanded Model located on one of the best lots in this exclusive, upscale community!Situated at the end of a quiet cul-de-sac, backing to trees and graced with an elegant stucco front elevation,this home also boasts a 3-car side entry garage with upgraded garage doors.This gorgeous home boasts a full daylight, partially finished basement with full size windows,9' ceiling height and a 3 piece rough-in for a future full bathroom in the basement!This home has a 2-Zone heating system, an unbelievable Estate Room addition and a sunken family room with stone fireplace(full brick chase on exterior).Elaborate lighting throughout both exterior & interior including:Christmas light package,recessed lighting,gorgeous fixtures w/medallion mounting bases and tasteful landscape lighting as well!Hardwood flooring through the foyer,hallway,powder room,continuing up the curved oak staircase in addition to the hardwood hallway upstairs! The huge kitchen has upgraded cabinets, a new floor, granite counter tops and a massive center island, all attached to the sunny breakfast nook. There is crown molding in many of the rooms. The backyard is paradise with a hot tub and in-ground salt water Gunite Pool with a 8 sun pad with surface jets and a rock waterfall. There is tons of storage with the garage, full basement and outdoor shed. 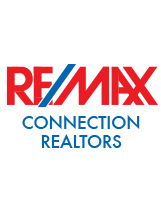 Located close to area bridges, the NJTPK and Rte 295, commuting is a breeze from this tremendous neighborhood. Your dreams can come true with this truly exceptional home you would be proud to own. Most furniture will be available to convey with this home.